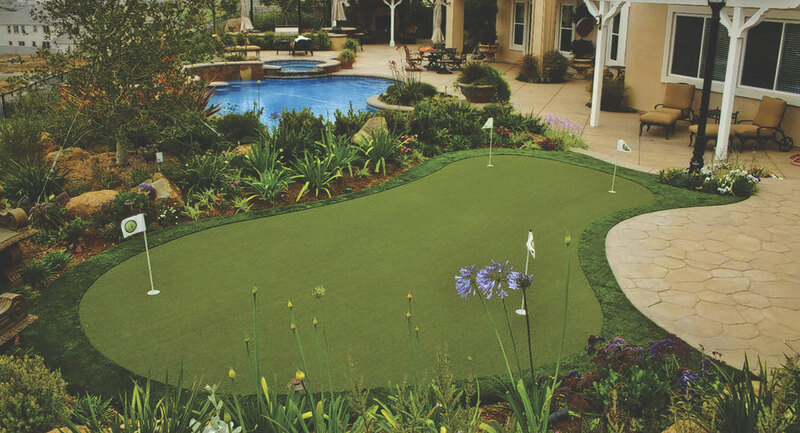 Ever thought a putting green would be cool in your yard? Well you are right! Our greens are customized to your yard, budget and preferences. We promise, you use this green to entertain and practice, you will shave strokes off your game! Its nylon fibers replicate Tour quality greens. Mastering the green is the surest way to lower your handicap and make your game more enjoyable. 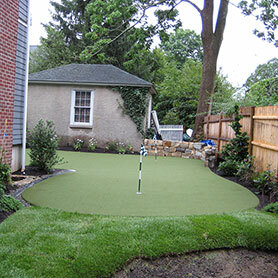 Contact us today to begin transforming your yard with a putting green! No putt-putt playing with windmills and clowns here--Sport Court of Wisconsin helps you perfect your stroke with Tour-quality putting greens. 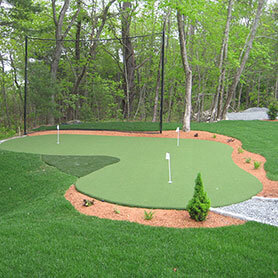 Create a copy of your favorite putting green right in your own backyard and watch your scoring improve. Custom built backyard putting greens for champions. Your putting green by Sport Court features Natural Break Technology™, allowing for the most amazing, natural ball travel a synthetic green can provide. The fibers suspend the ball like natural turf for optimum speed and roll. The result is a true break, every stroke. So the accuracy you develop on a Sport Court putting green will transfer effortlessly onto all the greens of your favorite courses.